Years ago there was a spiritual father who was Cypriot that was a very good man. 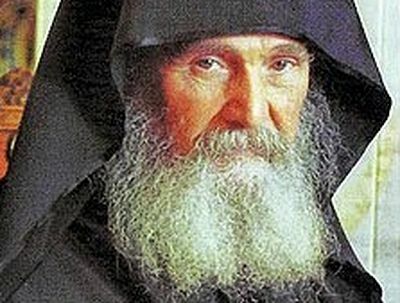 Initially he was at Stavrovouni, a monastery in Cyprus, when he was younger, but still a hieromonk. When he was at this monastery, he himself told me, a certain Athonite zealot father who followed the Old Calendar fled there. By "zealot" I mean a fanatical Old Calendarist, who condemn the Church as heretical and schismatic. His name was Father John. I knew him. He had fled from Mount Athos, from the Skete of Saint Anna, and he went to Cyprus. 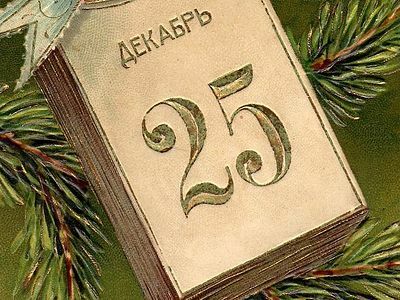 There in Cyprus he tried to create an Old Calendarist atmosphere and then went to Stavrovouni Monastery, as the hieromonk himself told me, and he began to speak on behalf of the Old Calendar to the fathers of the monastery there. He also spoke with this hieromonk, that the liturgies he was doing were not liturgies, and the mysteries he was doing were not mysteries, that they do not have grace, blessing, and so on. This hieromonk therefore began to swing back and forth in his thoughts, saying: "I wonder if this man is right in what he says? I wonder, if perhaps I am not doing a liturgy and mystery, but just a theatrical function within the liturgy for the people to see?" With these things in his thoughts, one day he began to do the Divine Liturgy. Well, the Divine Liturgy proceeded, he blessed the Holy Gifts, and when the time came he kneeled to do the elevation of the Holy Bread and said: "Let us be attentive. The Holy for the holy ones." He then saw on the diskos that the bread had become flesh, it became meat red, and his conscience began to rebuke him, saying: "Due to the unbelief of your thoughts, because you doubted this and that, God has now allowed the bread to become flesh, to become meat, and now how will you commune, and how will you commune the monks, all this being done due to your sinful thoughts?" and these things made him weep. Then he knelt where he was and he began to weep again, unable to look at the diskos of meat. Its interesting to note that John has created a website which he claims is "An International Orthodox Christian Ministry" and has named the site.....after himself! He is also the same man that at one point posted a picture of himself shrouded with a halo on his self-titled website, which is very telling! Good article, John. Thanks for running it. Please remove this article,it is historically inaccurate, biased toward ecumenists, blasphemes the mysteries of ROCOR who's ordinations of Greek Old Calendarists were later given Synodal Approval and contains silly stories of an almost superstitious magical nature to prove that the Mysteries of New Calendarists randomly turn to flesh at every point of "Elder" Ephraim's life to disprove those of the Greek Orthodox who have followed the Traditions of the Holy Fathers sometimes unto persecution and death. Shame on you for publishing this nonsense!!! The new calendarists started all of the problems they now rail against. And they started it through most unChrist-like violence against the traditional Church which was just minding its own business. Now these New-calendar innovators are shocked and dismayed, but they don't mention oh so hypocritical. They themselves hold the solution, which is simply to recant their error and return to the Church Calendar which they call "old." Don't you see this is an attack of the Devil. The Ecumentists are ensnaring the bishops and EP from the left while on the right the "old Calenarists" fall into Donatism. This is the left/ right paradigm of Free Masonry. WAKE UP! my Orthodox Brethren this is why this unholy council is occurring June '16. The Royal Path of former ROCOR is the only way to fight this Deception. 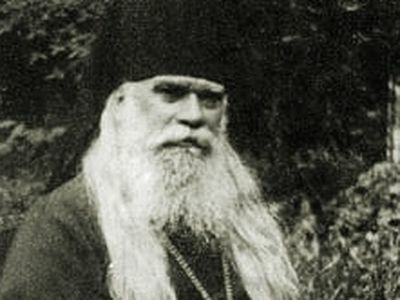 Elder Ephraim of Katounakia's biography states: “When, at the suggestion of Elder Joseph, they left the zealots and returned to communion with the rest of the Athonite fathers, they truly came to know the power of Grace in the Mysteries they celebrated…For the entire time he was with the zealots, he [Fr. Ephraim of Katounakia] saw something like a veil in front of him, hindering him from seeing this Divine Grace distinctly. The veil was lifted when he returned to the living church.” Elder Joseph was with the Old Calendarist zealots for 15 years. Elder Ephraim of Katounakia had a veil hindering him from seeing divine grace distinctly for this 15 year period. Has Elder Ephraim of Arizona divulged any personal stories about the differences he perceived in Grace and spiritual experiences in Pappou’s synodeia (i.e comparisons of the initial years outside of the church and the later years after they joined the church).